Spruce was waived by the Chargers on Saturday, Ricky Henne of the team's official site reports. Analysis: Spruce was a standout at Colorado from 2012-15 during his collegiate years, but the undrafted wide receiver has yet to play a down in the NFL. Spruce signed a contract with the Chargers on Monday, Ricky Henne of the Chargers' official website reports. Analysis: An undrafted free agent back in 2016, Spruce made the Rams final roster that season, before succumbing to injury and ultimately being waived. In 2017, most of his time was as a member of the Bears' practice squad, though he never received a call-up. 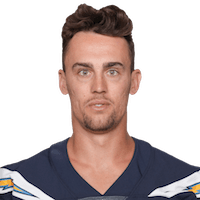 Considering Spruce has yet to see action in a regular-season contest, he'll be a long shot to provide any sort of fantasy value with the Chargers, and may not make the final roster. Spruce was cut by the Chiefs on Wednesday. Analysis: Spruce signed a contract with the Chiefs in late March, but he apparently didn't impress the coaches during rookie minicamp. As a result, he will move on from Kansas City and look to latch on with another squad prior to training camp. Spruce signed a contract with the Chiefs on Friday. Analysis: Spruce was waived by the Rams with an injury settlement after suffering an undisclosed injury in training camp. The 25-year-old will hope to fight for a roster spot come training camp. There are no videos available for Nelson Spruce. Click here to view all videos.